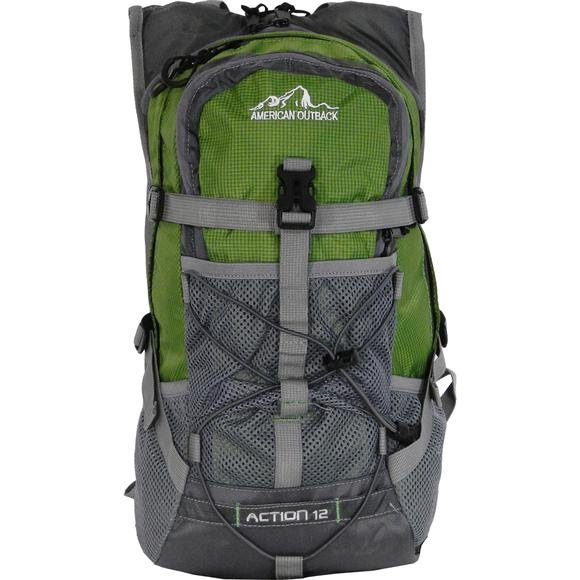 Tote along your water and handy essentials with the American Outback Action 12 Hydration Pack on your next adventure or hike. Various pockets keep your essentials within reach when you need them and an adjustable sternum strap provides added support. High-density foam padded back with breathable air mesh shoulder straps cool you down on your trip. 2-Liter hydration reservoir included.